The UCF Libraries is requesting $119,800 ($124,800 less a $5,000 cost share from the UCF Libraries) to purchase the Eighteenth Century Collection Online (ECCO) plus the National Geographic Archive from Gale. Gale, part of Cengage Learning, is a world leader in e-research and educational publishing for libraries, schools and businesses. Best known for accurate and authoritative reference content as well as intelligent organization of full-text magazine and newspaper articles, Gale publishes learning resources in a variety of formats including web portals, digital archives, print and eBooks. If UCF purchases ECCO, Gale has offered the National Geographic Archive at a favorable rate. The UCF Libraries recently purchased Gale’s companion product, Nineteenth Century Collection Online (NCCO). The current proposal for ECCO was designed to complement NCCO. Funding this request will provide outstanding content to support the education and research mission of UCF. he quoted price for ECCO includes complete access and perpetual rights to all of the content. This content is based on the English Short Title Catalog which includes every book published in the UK and its territories during the 18th Century. The product currently has 33 million pages of text, 185,000 titles and 200,600 volumes of primary source material. t is difficult to find a subject that ECCO does not cover. After just one year, UCF placed in the top third of universities in this region in terms of NCCO usage. This combined with the fact it can take up to three years for promotion of this type of product to yield results, indicates that UCF usage is quite strong and growing. We expect similar results for ECCO. Support of primary source content in digital format is an emerging area for UCF Libraries. By awarding the requested funds for ECCO plus the National Geographic Archive to the UCF Libraries, the review committee will continue its history of strong support for the evolving 21st Century Library at UCF. The National Geographic Archive contains every issue of the magazine from 1888 through 1994. The quality of the images is outstanding, and the content can be used by UCF students and researchers in nearly every discipline. The UCF Libraries already provides access to several products from Gale, and library users are familiar with the functionality of the Gale interface. UCF has an opportunity to purchase ECCO plus the National Geographic Archive at the deeply reduced price of $119,800. The actual price for these two collections is $162,750. This pricing reflects a discount for members of Lyrasis (a consortium of research libraries in the Southeast), combined with an additional discount from Gale for purchasing both titles. These are standalone products that can be purchased individually. 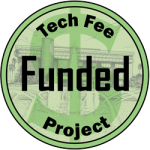 However, the UCF Libraries has negotiated a price based on this Technology Fee proposal that is contingent upon the purchase of both products. The offered pricing will permit UCF to acquire two outstanding research titles at a price that is essentially equivalent to acquiring the National Geographic Archive at almost no cost. This proposal is for the National Geographic Archive from 1888 to1994. National Geographic content for 1995 to the current year is available on an annual subscription basis only. If the Technology Fee committee approves this request for the archive, then the UCF Libraries will begin a subscription to the current years. Having one or the other would diminish the effectiveness of this rich content, so we will commit to maximizing the overall value by adding a current subscription. Eighteenth Century Collection Online (ECCO) and the National Geographic Archive are delivered online and available 24 x 7. The collections will be accessible to all students on campus or off campus through Shibboleth authentication. One hundred percent of UCF students and faculty could have simultaneous access to ECCO and the National Geographic Archive. There are no limits to the number of users who can access the content at a given time. The content in ECCO and the National Geographic Archive will be easy to discover through the library catalog or librarian-created LibGuides. Patrons will also discover this content through subject databases, and internet search sites such as Google and Google Scholar. The content is in PDF format and is easily printed, e-mailed, or downloaded to read on a cell phone, laptop, or any computer. The collections are of potential benefit to the entire UCF community, including the current 59,785 students and 1,959 teaching faculty. Because UCF will gain perpetual rights, the collection will meet the study, instructional, and research needs of the UCF community into the future. The content aligns with many UCF course offerings and will support programs in nearly all disciplines. Eighteenth Century Collection Online covers history, literature, religion, geography, travel, reference, science, medicine, technology, law, art, politics and other subjects. It has a particular focus on three of the most significant periods in history, the American, French and Industrial revolutions. Based on enrollment figures provided by the Board of Governors (BOG), we estimate that 33,333 UCF students in the following disciplines would greatly benefit from these resources. The table below shows the major areas of study will be enhanced by the purchase of ECCO and the National Geographic Archive. The UCF Libraries is including comments from the publishers and interested UCF faculty. The comments speak to the quality and importance of both collections and how each will make valuable contributions to teaching and learning on the UCF campus. The following comments were made by UCF faculty members. The Eighteenth-Century Collections Online, Part I & Part II are truly astonishing in their scope, covering every significant English-language and foreign-language title printed in the United Kingdom during the 18th century, along with thousands of important words from the Americas. These outstanding collections will offer UCF students access, not just to thousands and thousands of primary source documents ranging from political pamphlets and sheet music to literature and literary criticism, philosophical treatises, and coverage of important historical events and debates, but to the very foundations of our modern society. Students may have encountered the “invisible hand” theory in their economics courses, and they certainly will have learned about the French Revolution and the American Revolution in history classes, but with the ECCO they will have access to original documents by important figures like Adam Smith, Edmund Burke, Thomas Paine, and May Wollstonecraft whose writings shaped the debates about economics, society, and the individual. More importantly, students will be able to understand these authors within their original contexts rather than reading them in a vacuum. A history, literature, or political science professor, for example, could enrich his or her course by assigning readings from the highly charged public debates about the French Revolution, in which some of the most important and influential statements about the nature of individual rights and democracy emerged in the 1790s. In a very real sense, students could see modern society developing before their eyes. I wholeheartedly support the UCF Libraries’ proposal to purchase the Eighteenth Century Collections Online, Parts I and II through a Technology Fee grant. The Libraries over the years have purchased the large electronic databases Early English Books Online, Evans Early American Imprints, and the Nineteenth Century Collections Online. With the Libraries’ addition of the ECCO that this grant would make possible, the combination of these online repositories would allow our students to have instantaneous access to nearly every work printed in English between the fifteenth and nineteenth centuries. Online collections such as ECCO enable UCF undergraduate and graduate students to venture into real special collections with a much greater comprehension and appreciation of the primary sources they need for their research. The study of history is cross-disciplinary, and I see this collection – containing as it does books, pamphlets, and treatises covering not only history but also the social sciences, philosophy and religion, and literature – as an invaluable resource that will benefit our students in such areas as military, cultural, economic, diplomatic, and scientific history. I am happy to write in support of the UCF Libraries’ proposal to purchase the Eighteenth Century Collections Online, Parts I and II through a Technology Fee grant. I and many of my colleagues in this history department would love to have this resource for our students to use in classes. From the 8,000-9,000 UCF General Education Program students we teach each year to our upper-level classe, which are open to all majors, the overwhelming majority of us could find historical evidence in this collection to support student research. Over the years, the Libraries have purchased the large electronic databases Early English Books Online, Evans Early American Imprints, and the Nineteenth Century Collections Online. With the Libraries’ addition of the Eighteenth Century Collections Online (ECCO) that this grant would make possible, the combination of these online repositories would allow our students to have instantaneous access to nearly every work printed in English between the fifteenth and nineteenth centuries. Online collections such as ECCO enable UCF undergraduate and graduate students to explore real, first hand historical evidence with a much greater comprehension and appreciation of the primary sources they need for their research. The study of history is cross-disciplinary, and I see this collection – containing as it does books, pamphlets, and treatises covering not only history but also the social sciences, philosophy and religion, and literature – as an invaluable resource that will benefit our students in such areas as military, cultural, economic, diplomatic, and scientific history. The UCF Libraries will promote the awareness and use of ECCO and the National Geographic Archive through a variety of channels. The Library will actively collaborate with Dr. Melody Bowden at the Faculty Center for Teaching and Learning to publicize the collections. The focus will be on educating faculty about the importance of this collection and how it can be used for course assignments. The Libraries will distribute informational brochures during various events, such as the faculty development conferences, and will feature information about the collections in newsletters, library blogs, exhibits and special events such as Cram for Exam. Librarians will teach students about ECCO and the National Geographic Archive during Information Literacy sessions. The UCF Libraries will measure the success of ECCO plus the National Geographic Archive through usage reports and satisfaction surveys. COUNTER reports (an industry standard format for online usage statistics) tracks which titles are used and the number of articles downloaded. There is strong evidence that the content from these collections will be heavily used across several disciplines by students and faculty. Collections similar to ECCO and the National Geographic Archive have shown steady usage and growth in number of accessions and downloads as word spreads about the benefits to students and researchers. It is expected that usage will increase by 10% to 20% per year in the first three years. The requested funds ($119,800), in combination with the $5,000 cost share from UCF Libraries, will cover the one-time cost of ECCO plus the National Geographic Archive. There is an annual access fee that is standard for digital collections of this quality. The fee of $1,674 for ECCO plus the National Geographic Archive will be covered from the existing library materials budget. Both titles are hosted by Gale, so there will be no new demands on UCF staff or infrastructure. ECCO plus the National Geographic Archive will be purchased for a one-time fee of $124,800 ($119,800 from Technology Fee funds and $5,000 from UCF Libraries), securing unlimited, simultaneous access and perpetual rights to all content. The initial cost per student simultaneously served is $4.16 ($124,800 / 33,333 = $4.16). However, this price is misleading because there is no limit to the number of times students and faculty could access the products over time. The actual cost per use could be much lower. The offered price represents a discount of 23% off the list price of $162,750.